Prof. Debapriya Sannyal, M. A., Assistant Professor. 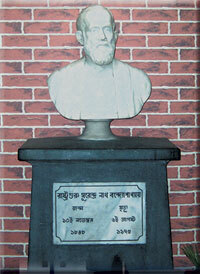 Dr. Saubhik Dutta, M. A. Ph. D., Assistant Professor. Prof. Sairam Nishat, M.A., Guest Lecturer. Prof. Ishita Bhattacharjee, M.A., Guest Lecturer.